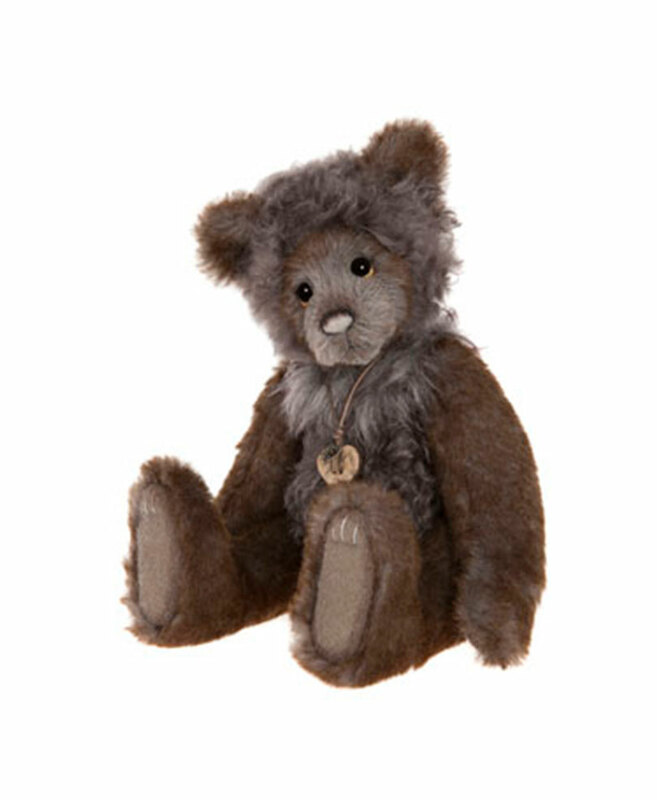 “Bagsy” at 37cm/14.5” this gorgeous little bear has been created using a blend of both Alpaca and Mohair in soft tonal shades of browns and greys. 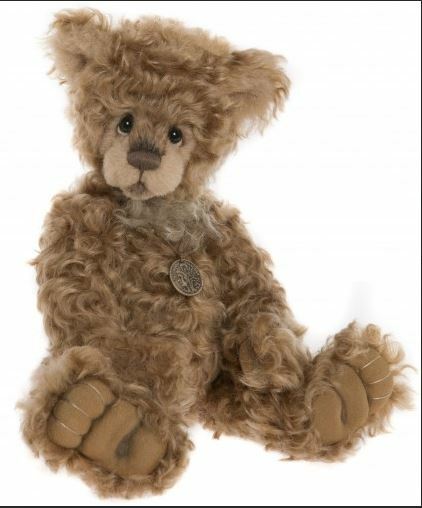 He has reversed fabric paw pads, a hand-embroidered nose with additional airbrushing detail. 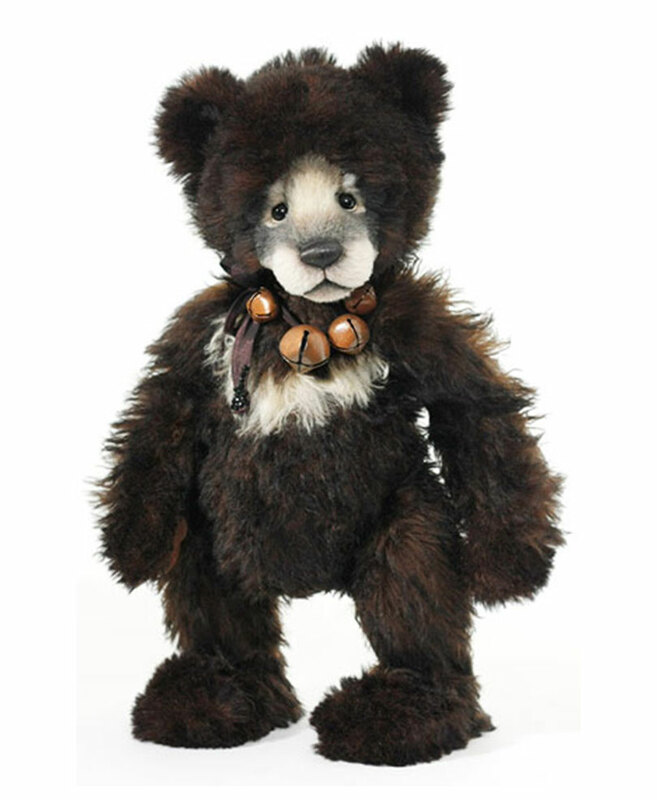 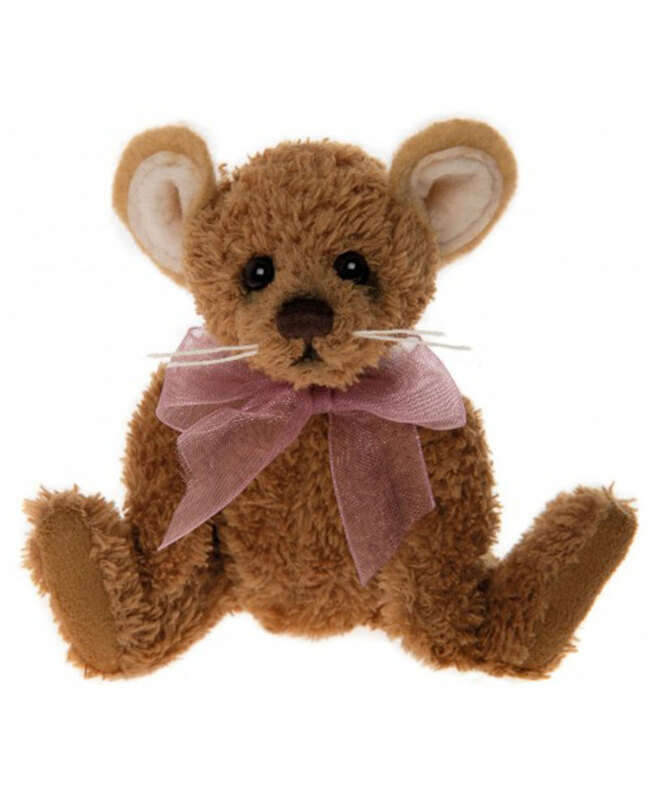 Small eye whites have been added to create the signature Charlie Bears “Who Me?” look and to complete his design a simple necklace accessory has been added.